Route #33E from Chocowinity, NC, 13 miles, turn left onto Clay Bottom School, then 1.4 mile turn right onto Cotton Patch Rd. and that goes into Crisp Landing Rd. 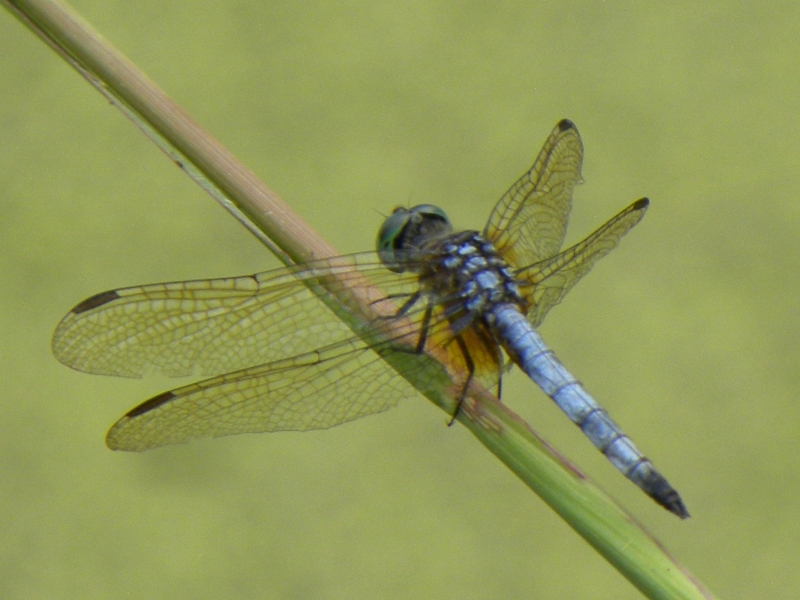 We have a small pond on our property and expierence many dragonflies during the summer months. They are called Mosquito Assasins here in NC. Blue Dragonfly with pond surface in background.